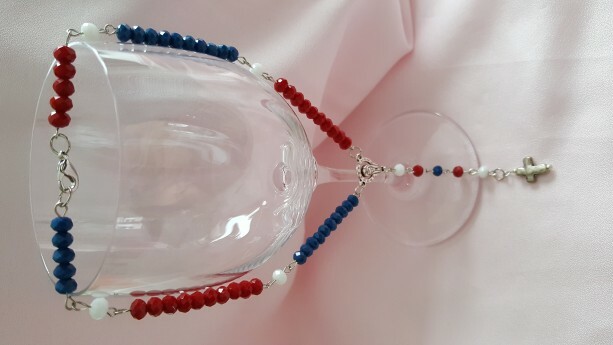 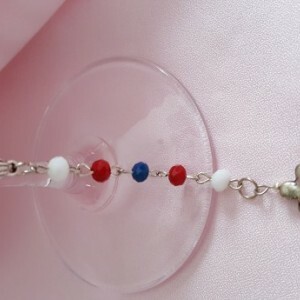 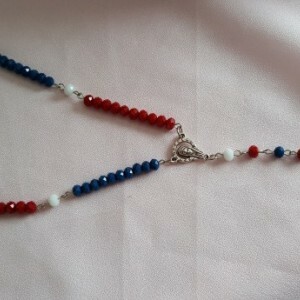 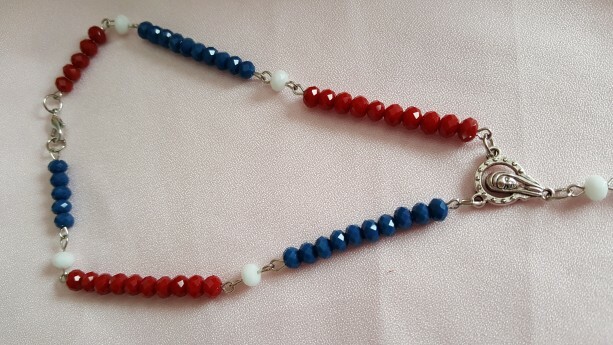 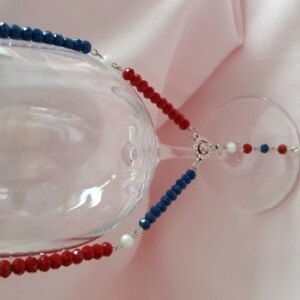 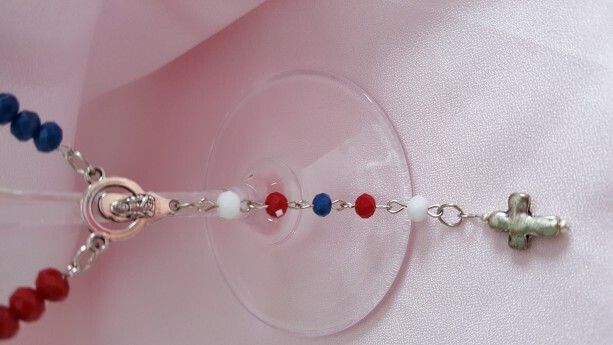 Red, white and blue travel Rosary Beads, great to hanget on a car rear view mirror. 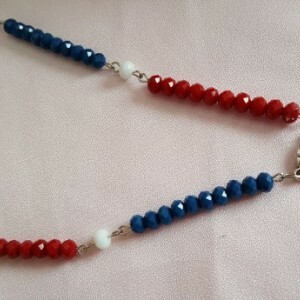 Lobster clasp closure, makes it easy to put on and take off rear view mirror. 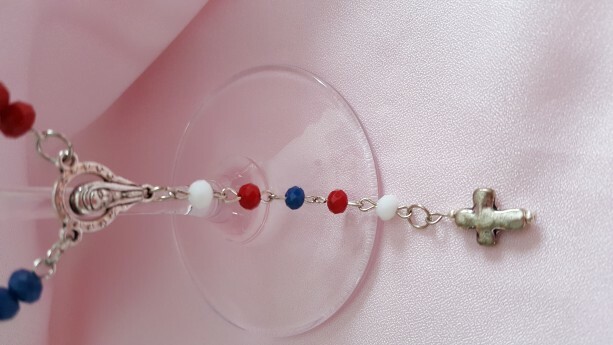 The cross is hammered metal. 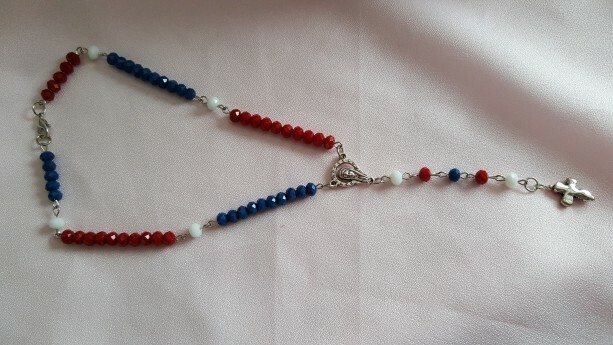 This is a full patriotic rosary set.